Icebreakers are an effective way of establishing that first initial contact between employees that might otherwise be a bit shy around the office. where small groups simply introduce themselves and engage in oriented group discussion, all provide great ways to stimulate large groups of individuals and provide an interactive experience. There are workshops geared at addressing those exact needs. Clients can participate in meditation sessions with professionals and work hands-on to develop strategies and overcome potentially more demanding times in their lives and allow any of us to reach our full potential. These workshops are currently available in Sydney and in cities across Australia. Know more about the benefits of corporate meditation classes and its benefits. In addition, there are yoga courses from Holistic Services Group, which have proven to have the same benefits as meditation, such as reduced stress, and yet has further benefits from the improved physical health brought on by the nature of the discipline. These workshops increase morale, create strong immune systems through stress reduction, resulting in less absenteeism, and many other of the same benefits that meditation provided participants. The simplicity of the movements makes it the ideal stress reliever and exercise that can be done anywhere, anytime. Tai Chi Chuan (Tai Chi), otherwise known as the “Supreme Ultimate Fist” is a form of Chinese martial arts consisting of moving meditation. It promotes both physical and mental health by encouraging harmony between the body, mind and spirit, essentially diminishing anxiety and increasing focus and concentration. Like Holistic Services Group, Alsco also provide tailored services to individual companies to make sure staffs are always safe and healthy. Partner with Alsco and enquire about hygiene systems, mats and workwear. Call 1300 659 892 now. 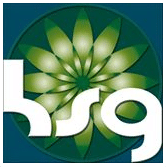 Alsco would like to thank Holistic Services Group for this article. Holistic Services Group is a leading provider of corporate wellness solutions and well being programs in most major cities in Australia. If you’re looking for corporate wellness program ideas, visit www.holisticservices.com.au.